A large selection of motivational websites based on the concepts within 'The Book Of Life Series' by Life Coaching Systems. The website articles are intended to motivate, inspire and educate audiences, enabling the reader to take away and use highly practical ideas that achieve enhanced performance both in private and business life. The concepts are designed to give inspirational seeds of thought that are intended to help find a better way through life, guiding the reader to formulate the options that available to everyone for creating not only a better life but also a better world. Life Coaching Sytems Site, is made up of the parent site and dedicated subsidiary sites. The 'Book of Life Series' presents an accumulation of ideas and choices that could lead you to change your life and persona for the better. Change is indeed the most beneficial and strongest power in the universe. Power of The Heart. Learn the techniques to open up The Power of Your Heart giving access to the infinite potential possibilities that truly exist for you. Start to change your reality today, molding your reality to suit what you want from life. The Laws of Creation. The Laws Of Creation will direct you towards creating a life that you truly deserve; start realizing your dreams, creating the things you actually desire, gaining the know-how into what life is really about. Life Is Simply A Game. Learn the techniques to open up The Power of Your Heart giving access to the infinite potential possibilities that truly exist for you. Start to change your reality today, molding your reality to suit what you want from life. Creating Your Reality. 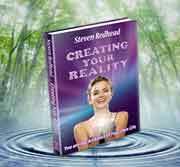 Creating Your Reality offers insights on how to Create a life that you deserve. As you reinvent your life endlessly you should open your mind to the infinite possibilities that really do exist. The Solution. 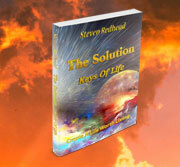 THE SOLUTION provides novel insight into what the Laws of Attraction are really about, how to harness the power of creation within us to make life what you truly desire. StevenRedhead.com was started in 1998, at which time the site was registered to the Site Registrar and site host 'Icestorm', but run by Steven Redhead. In 2001 the ownership of the url www.steveredhead.com was transferred from Icestorm to Steven Redhead. The Sensational New Perspective on Life The websites hosted at www.stevenredhead.com provide articles designed to give inspirational seeds of thought that are intended to help the audience find their way through life, guiding them to formulate the options available for creating not only a better life, but also a better world. 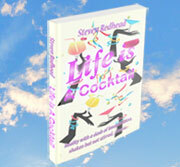 The artilce address insights into life's many issues, provide motivating ideas for how to create a life people desire. With the aim is to create life changing ideas that can act as inspiration to enable everyone to live life as it was originally intended. The Key concepts The website articles are intended to motivate, inspire and educate audiences, enabling the reader to take away and use highly practical ideas that achieve enhanced performance both in private and business life. The concepts are designed to give inspirational seeds of thought that are intended to help find a better way through life, guiding the reader to formulate the options that available to everyone for creating not only a better life but also a better world. 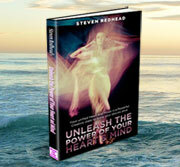 Steven Redhead is a British born self-help author and motivational speaker; he is the published author of five books on Motivational Intuitive Spiritual Philosophy, as well as a Published Composer, Lyricist, Poet and contributing writer to philosophical and metaphysical web-sites and independent spiritual magazines. His quotations can be found on numerous independant websites. Power of The Heart. Achieving your heart's true desires is the key to living a life of true contentment and bliss. Start to bring your heart consciousness alive by focusing on unifying the Power of the Heart and Mind to enlivening your passions to create your own reality. Learn the techniques to open up The Power of Your Heart giving access to the infinite potential possibilities that truly exist for you. Start to change your reality today, molding your reality to suit what you want from life. Start changing your reality today by setting your desires in motion by connecting to the heart consciousness - mould your life to suit what you want to experience. Bring your heart power into play to create the things that you wish in your life through energising your desires with your heart energy. The Laws Of Creation. directing you towards creating a life that you truly deserve; to start realizing your dreams, creating the things you actually desire, gaining the know-how into what life is really about. 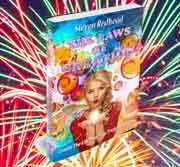 The Laws Of Creation provides insight into The Secrets of what the Law of Attracion are really about; harnessing the power within each of us of to create the life that we truly deserve. You are the architect of your own life, therefore learn to use your willpower, make the choices that control your destiny, create your own life path, your own fortune that is based upon what you truly desire. The Power Of Creation. The Power Of Creation will direct you towards creating a life want; start realizing your dreams, creating the things you actually desire, gaining the know-how into what life is really about, helping you find solutions to whatever you are facing. The future holds endless promises, maximise your potential by planting the seeds of your desires for what your future will be. Only the future offers you the opportunity to become what you want. You can't recreate the past, but you can create the future you desire and dream of.